Bevil Oaks, a small town located in Jefferson County on the outskirts of Beaumont, is a relatively quiet place. The neighborhoods are beautiful, the community is active and the people are kind. However, these characteristics did not protect the town from the harsh reality of Hurricane Harvey. The rain began Friday, Aug. 25. 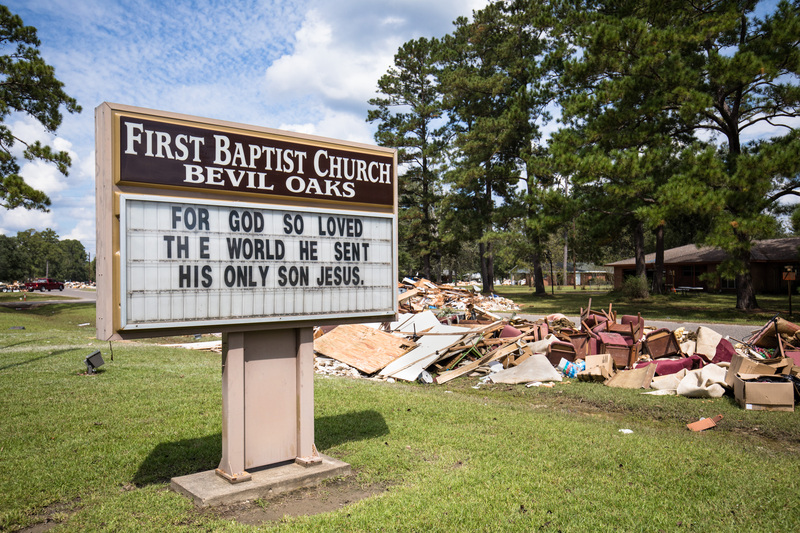 As the storm grew worse, Robert Ring, worship pastor of First Baptist Church of Bevil Oaks, decided to make the call to cancel their Sunday morning church service. “On Sunday, water began coming up into friends’ yards, and we weren’t sure how high the water would be getting. For us, the main part of Harvey had not come yet,” said Ring. Jefferson County Emergency Management noticed that waters were going to rise rapidly in Bevil Oaks, which was designated by FEMA as not one, but two flood zones. On the evening of the 27th, they called for an evacuation. Soon, the major roads and highways flooded, making it nearly impossible to enter or leave the town. By Monday night, all of Bevil Oaks was under water. That’s when the rescue missions began. The church, as well as many of the surrounding homes, held up to six feet of water for five full days. Once water levels finally subsided and residents were able to go back to their neighborhoods, they were faced with the hurricane’s destruction, as only remnants of their homes remained. The work to be done was overwhelming, and the future of the town seemed bleak, according to Ring. 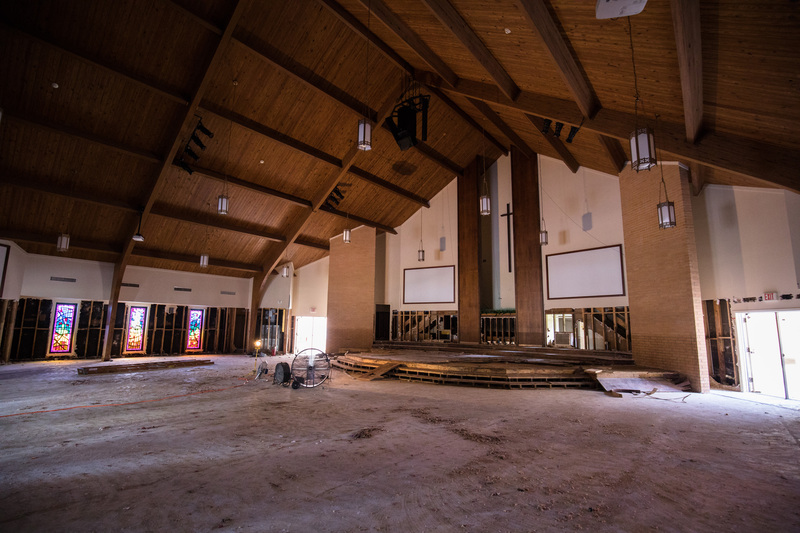 Though Bevil Oaks was among the communities hit hardest, Harvey might be seen as the perfect storm in a new light. Because of its central location, the church served as an official point of distribution for the community. With the extent of damages to the surrounding homes, including a lack of working electricity and sewage systems, the people of Bevil Oaks needed a place to gather supplies and stay fed. 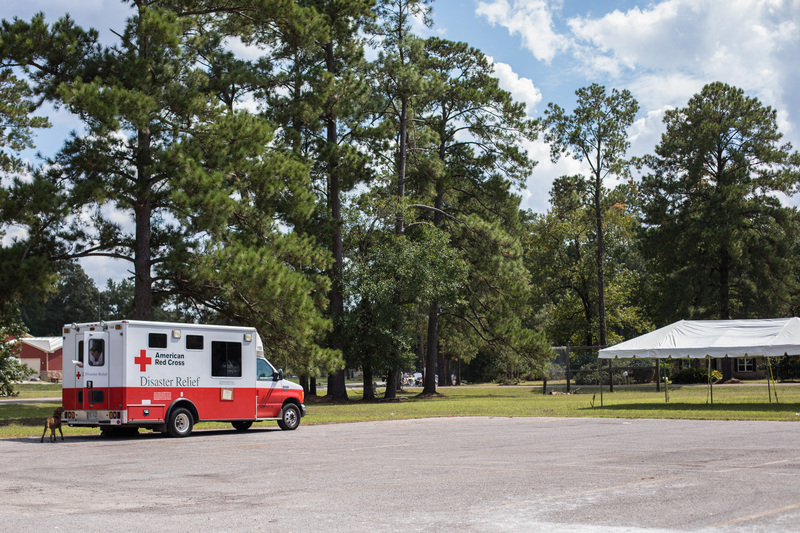 For a week and a half, the church hosted a national guard, Red Cross teams and ready to eat meals. The church also held over 20 portable toilets. Without working restrooms in their homes, residents would come to the church day and night. The church worked tirelessly alongside multiple volunteer groups to draw the community in. Conversations took place that never would have if Harvey had not hit. “If anything, this has allowed us to tell our stories of faith,” said Ring.